A few Saturdays ago, I woke up feeling sort of bored. My options were pretty wide: sit in my bed and read or write, go to the last farmer’s market of the year, grab coffee somewhere and pretend I was some artistic genius struggling to write a poem in a spiral bound notebook, or give myself a new hairstyle. I decided to give myself a new hairstyle. 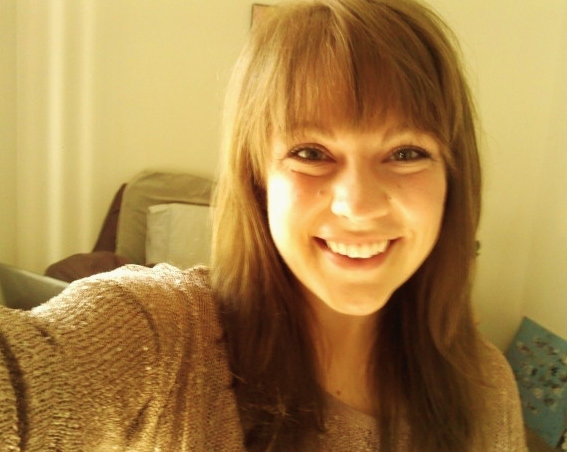 Since I’ve been watching a lot of New Girl (and like every other twenty-something girl, I have a bit of a girl crush on her), I decided to give myself bangs. While in Milwaukee a few years back, I tried to rock bangs (my Feist obsession was at an all-time high), but I ended up getting feeling uncomfortable with them, so I pinned them back and let them grow out. That time I took a scissors and cut straight across my forehead about 40 minutes before an orchestra concert. That could have ended disastrously. I’m incredibly brilliant sometimes. This time, I took the 30 seconds to google how to cut my own bangs, and they ended up looking pretty good. I think they make me look a lot younger than what I had before then. Exhibit A: Summer 2012, tanned and blonde so I could feel like a bombshell while my soul died in a cubicle. Good god. I look like a completely different person. Anyway, I’ve gotten a lot of compliments on my bangs. Many of my coworkers (including some who have never talked to me previously) say that it fits me. Some days, I feel really confident about it, while other days I miss my forehead being cool. I’m sure it sounds silly, but it’s a bit tiring to adjust to such a different style. Other new things: my job. I LOVE it. I know I’ve talked about it before, but I’m really enjoying my new position. This week I have my first client visit. Really looking forward to one of my first interactions as a professional. 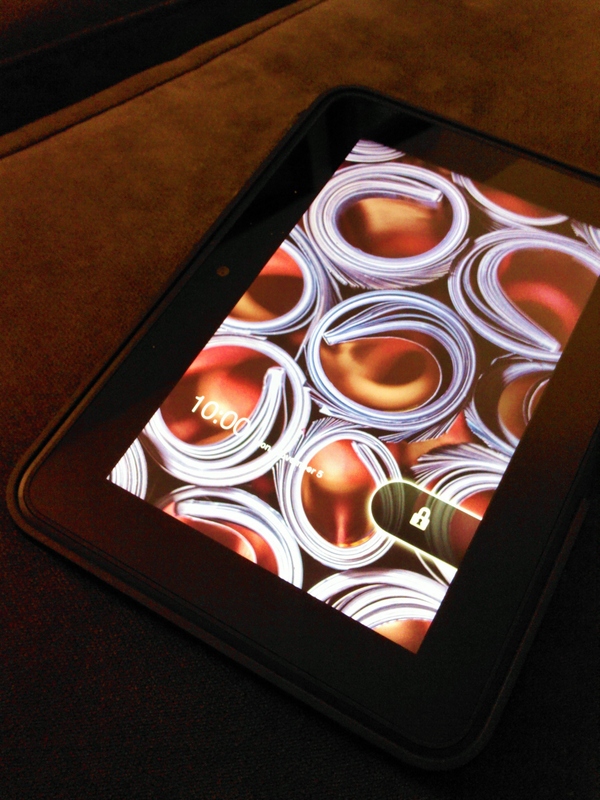 Last week, I got a Kindle Fire HD. I’ve spent plenty of time playing around on it: listening to music, reading books, reading magazines, watching youtube, Netflix, and Prime videos, browsing the web – it’s just awesome. I haven’t been disappointed yet. I thought I might not enjoy reading on the back-lit screen (that was my biggest hesitation when switching from my classic Kindle to the tablet), but it’s really quite nice. It’s been especially easy to switch between Infinite Jest and Elegant Complexity (the excellent reader’s guide). I may tire of it, but I figure if I do, I can always just get the basic Kindle for my serious reading sessions. Or you know, I guess I could pick up an actual book. I’m going to sit down and write a good post tomorrow, so please excuse this ditzy “oh mah gawd, lookit me n mah stuff!” post. You know I’m better than this. Seriously though, I’ve got to go fix my bangs and take pictures of myself in flannel with my new gadget. Ciao! This is me in my flannel pajamas being a dork while I try out the HD camera on my new Kindle.